It’s easy sometimes to think of ‘Defence’ only in terms of aircraft, tanks and warships. In fact it’s really about people, some working on the front line while others work behind the scenes. My name is Iain Perkins and I’d like to tell you about some of those people who work for, or with the MOD in things like conservation, heritage, or energy efficiency. Sanctuary magazine is a yearly publication. The latest edition is now available online. It’s produced by the Defence Infrastructure Organisation and is dedicated to everything related to the sustainable management of both the natural and built environment across the defence estate. DIO looks after many hundreds of sites both in the UK and abroad. Some include important wildlife habitats, archaeological remains or buildings of historic importance. A few days ago I was at MOD Main Building for the annual Sanctuary Awards. 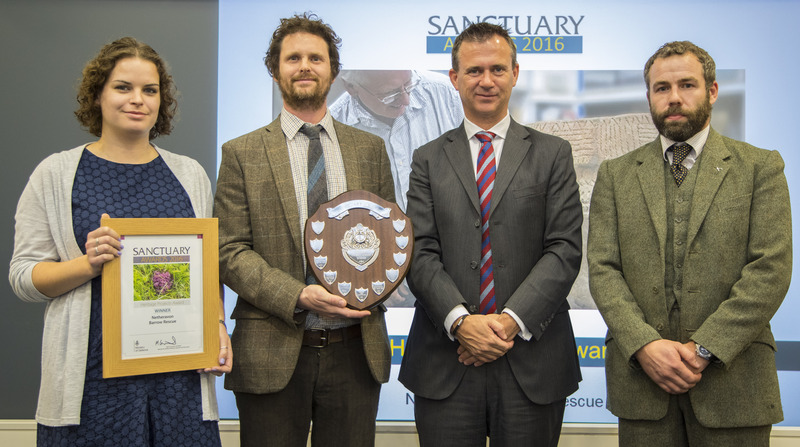 They give the MOD the opportunity to recognise some of the amazing work that people do in terms of conservation, land management or sustainability. This year they were hosted by Defence Minister Mark Lancaster and DIO’s new Chief Executive Graham Dalton. The quality of this year’s winners has maintained the high standards we have grown accustomed too and I’d like to give a mention to some of the winners but also some of the runners-up. There are five main award categories: Individual achievement, Sustainable Project, Energy Project, Environmental award and Heritage award. The winners in each of these areas then get the chance to win the Sustainable Business award and the coveted ‘Silver Otter’ award. 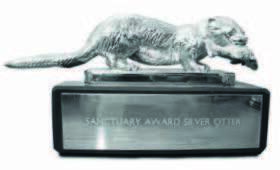 This year the Silver Otter prize went to Bob Haycock who has spent over thirty years working as a volunteer on various conservation projects in South Wales. 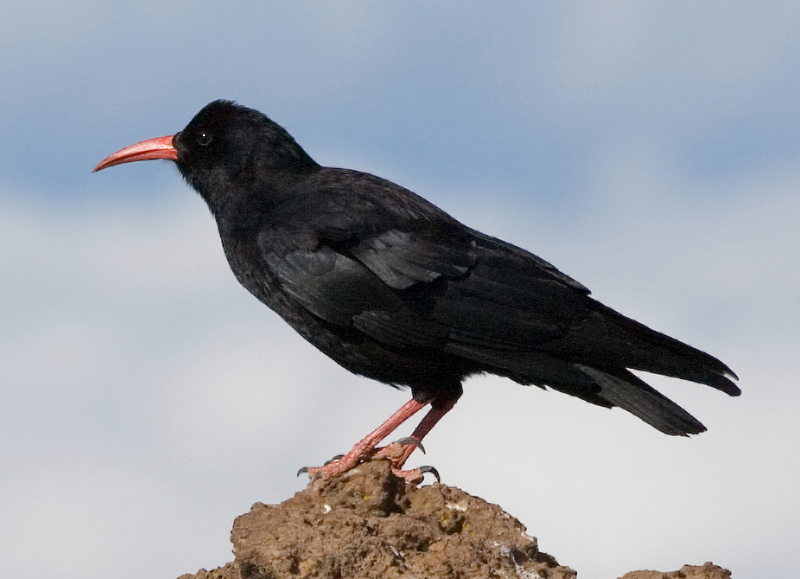 He also won the individual achievement award for his work with the Red-billed Chough. 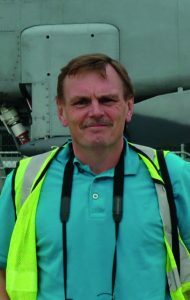 He has led the monitoring of these rare and enigmatic birds at Castlemartin for 33 years. Much of Bob's work centred around choughs. The runner-up in the individual category was Phillip Dawe. He led the project to restore ‘Building 27’ – the original sector Ops room at RAF Northolt. It dates back to 1936 and was instrumental as part of the ‘Dowding System’ of air defence during the Battle of Britain. Philip has spent the last nine years working tirelessly to make sure it was preserved. Without his mammoth contribution it would almost certainly have been lost. Often projects like this one need a champion, someone to act as a focus both to get things started and then keep them going. Phillip’s efforts have also inspired others. He came up with the idea of ‘Night Photo-shoots’ where aviation enthusiasts could photograph aircraft visiting RAF Northolt. This initiative rose over £120,000 towards the cost of the ops room restoration and the same idea is now being used elsewhere. 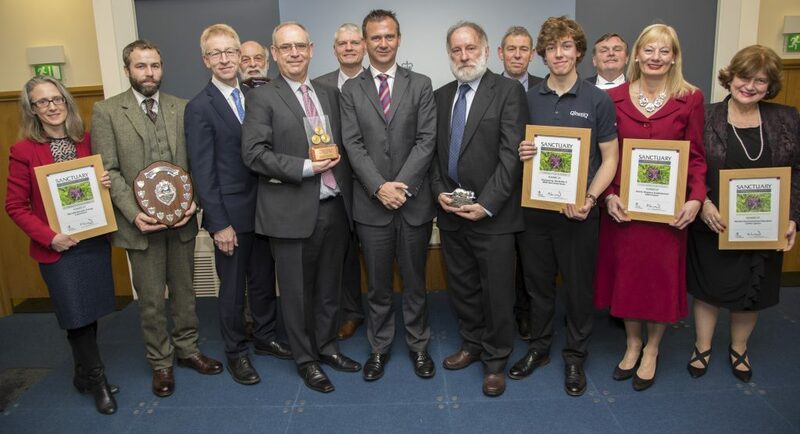 All the winners deserved their accolades and none more so than all those involved in efforts to save a 4,000 year old Bronze Age barrow and its treasures, which faced destruction from burrowing badgers. 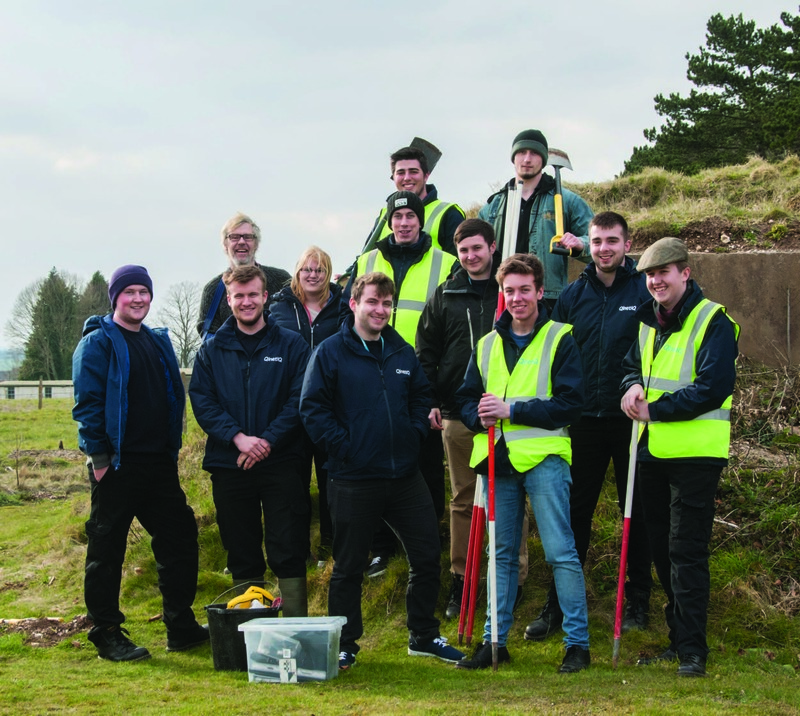 This project included Wessex Archaeology, Landmarc Support Services and former service men and women from Operation Nightingale. The runners-up in the heritage category were a group of apprentice aircraft technicians at the QinetiQ Apprentice Training School. They got involved with the ‘Discovering WW2 Boscombe Down’ project. 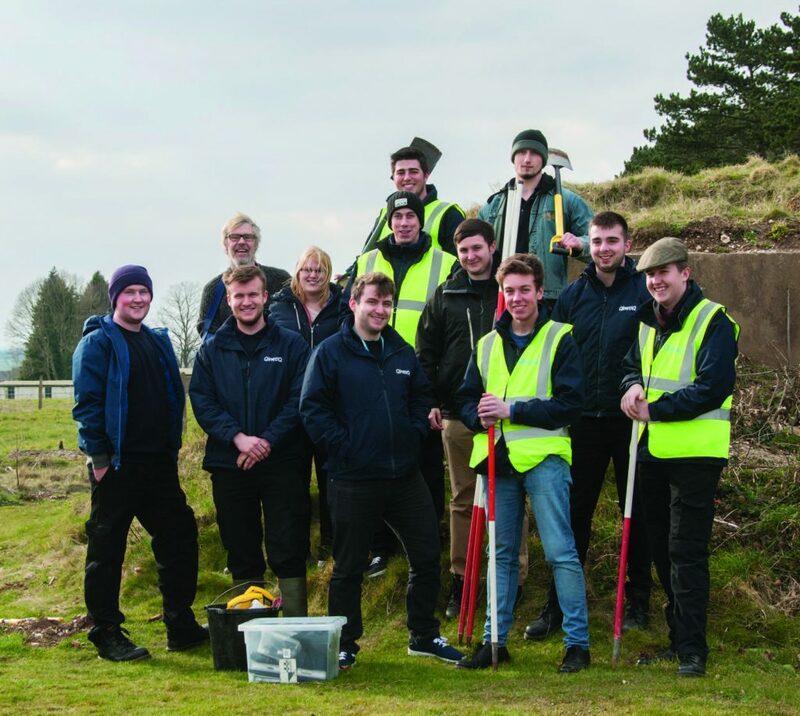 Besides their learning about surveying earthworks and buildings related to the Second World War they also developed a greater understanding of conservation, biodiversity and archaeology. But on top of all that they gained a raft of transferable skills, such as problem solving, communication and team building. The Qinetiq apprentices from the Boscombe Down project. I’ve been editing Sanctuary magazine for four years, and I never ceased to be amazed by the achievements of all the people involved with these projects. From energy conservation and archaeology to land management and wildlife conservation the level of expertise and dedication is impressive. 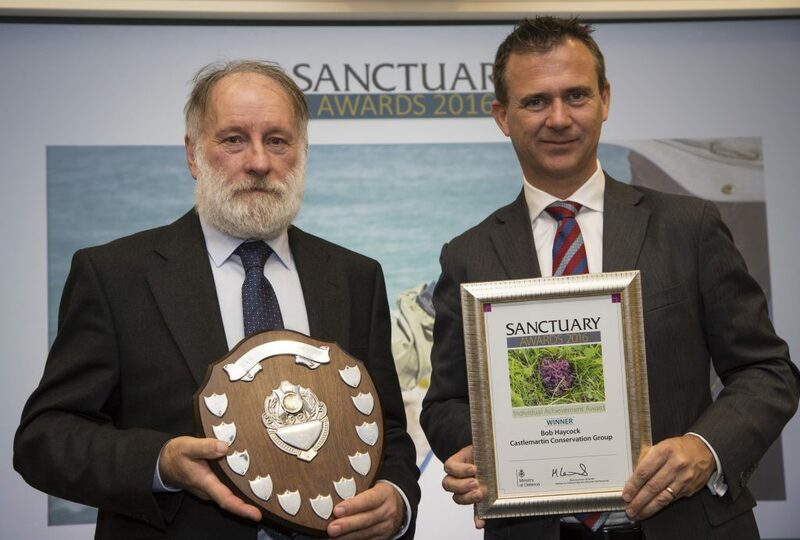 So this year’s awards are over, and the magazine has been published, but soon we’ll begin working on Sanctuary 2017. Well done Iain. A good article and another quality edition of Sanctuary. Your efforts shouldn't go unnoticed! Thank you! We'll pass your kind words on to Iain.